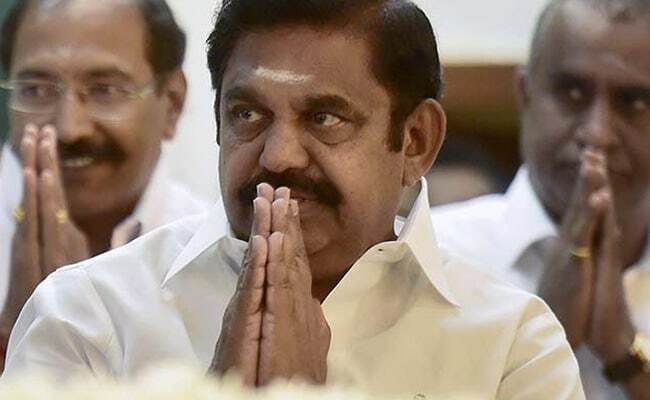 Tamil Nadu Chief Minister Edappadi K Palaniswami on Wednesday made a veiled attack on sidelined AIADMK leader TTV Dhinakaran, saying those who had never faced polls were "dreaming" of coming to power, and asserted that his "stable" government could not be toppled by anyone. "Day dreams of those who want to topple the government are like sand castles," E Palaniswami said. Nagapattinam, Tamil Nadu: Tamil Nadu Chief Minister Edappadi K Palaniswami on Wednesday made a veiled attack on sidelined AIADMK leader TTV Dhinakaran, saying those who had never faced polls were "dreaming" of coming to power, and asserted that his "stable" government could not be toppled by anyone. "Those who have never faced the people through elections are dreaming of coming to power, toppling the government and splitting the AIADMK," Mr Palaniswami said, in an apparent attack on Mr Dhinakaran, a former Rajya Sabha member who is spearheading a rebellion against him in the party. Mr Dhinakaran, locked in an intense tussle with the Palaniswami camp, has been demanding the resignation of the chief minister. He has stepped up his attack on Mr Palaniswami and vowed to send "home" his regime, after the AIADMK general council annulled VK Sasikala's appointment to the top party post earlier this month. The general council, the top policy making body of the AIADMK, had also held that all the decisions taken by Mr Sasikala, including the one appointing Mr Dhinakaran as the party's deputy chief, were "invalid". "The day dreams of those who want to topple the government are like sand castles, which will soon vanish," Mr Palaniswami said, adding that his government was "very stable". Targeting Mr Stalin, he said the DMK working president was spending all his time criticising the government, without bothering about the welfare of the people. Distributing welfare measures among beneficiaries on the occasion, Mr Palaniswami announced that the Tamil Nadu Fisheries University at Nagapattinam would be named after late chief minister J Jayalalithaa. Earlier, Lok Sabha Deputy Speaker and senior AIADMK leader M Thambidurai declared open a photo exhibition here.